Of course it is learning if it is on a mobile phone or any other device. Do we mean informal or formal learning? Vicarious learning or didactic? Stumbling across knowledge, or reading formerly to pass an exam? Does it matter? These devices blur the distinction between a means of educating that may eventually look dated and specific to an era. Do we need campus based universities? Kids can have their kicks in Ibiza then study online while holding down their first job. Give the campus over to the retired and unemployed. And if so, instead of being at the centre of a child’s education, perhaps they become as tangential as a visit to the leisure centre of supermarket because you are better linkedin to the educators and the content when you’re away from the place and all its distractions. When do you ever not learn even if you don’t know it? It depends entirely on what the device is being used for. Apps have shown how versatile we are at throwing activities and qualities at these devices. People want this stuff. Is a laptop mobile? What about the old Apple Classic? I used to take it out into the garden on an extension cable and view it inside a cardboard box while sunbathing. Was that mobile? I can read in the bath on a Kindle and click through RSS feeds on the iPad while the Kettle boils. Might it simply feel as if all these people are following me around? There are degress of mobility. Working in TV we carried around with us monitors to watch content back during a shoot. The thing was no more portable than a hod stacked with bricks. When I read formal and informal learning I wonder if this equates to whether the learning is hard or easy. I have acquired knowledge in a formal setting and had a laugh, equally in an informal context without the self-motivation and will I have found informal learning very hard to do. It is sometimes claimed that handheld digital devices allow students to learn at anytime, anywhere. A more nuanced position argues that the devices have the potential for ‘any time anywhere’ learning but that many other factors come into play. For example, some devices may be easy to handle but have small screens that don’t allow easy reading. Far from being hard to read the small screen is better suited to the narrow field of close vision that we have. So what if it is like looking through a letter box. If you want to concentrate why look at more? A device can become too small. Too portable. As a video producer I have seen kit shrink so much that a device the size of a child’s shoe will generate a HD image and for $75 a day you could hire a camera that delivers 35mm quality. Making a film though with a device so small creates instability, you need some weight on your shoulder if you want to keep the image steady. The portability and size of screen is less relevant than the affordances of the device, the fact that an iPad doesn’t support Flash, or Android is having problems with Google Apps, that is, if you are using learning materials that require specific functionality that isn’t working. As for screen size, people may watch a blockbuster movie on a giant screen at the Odeon Leicester Square or on a Smartphone or palm-sized gaming device that is no bigger than a spectacle case; here what matters as with any movie, is the quality of the narrative, not the size of the screen. Where a device’s portability comes into its own, as the person who recently made a phone call from the top of Everest, is the portability. Another extreme might be a cave diver with a device the plots the route for a cave system, or a glaciologists relaying pictures of a feature in a Greenland ice-sheet to colleagues thousands of miles away that informs the research. Is an apt way to express a new term being used in the Open University Business School to describe applied or practice-based learning that gets away from the ‘distance’ tag, that is to call it ‘nearness’ learning. (Fleck, 2011). I also like the idea of ‘intense but provisional,’ people’s attitudes are brand specific, with the Mac vs. PC split of computing now a split between Windows, Mac and Android (and others). People chose brands to simplify the choices that have to be made between a plethora of devices, between Sony, Nokia, Goole and Windows, as well as between network suppliers, be that O2, Vodafone or others. There is another way of looking at it though, if you come to see that all these devices offer the same sets of services and tools, from QWERTY keyboards, to a camera, from messaging to phone calls, to the hundreds of thousands of Apps, and in the case of the latest Windows phone … Windows software from Outlook to Docs, PPT to Excel. Is size such an issue? People have managed needlepoint for centuries and once painted miniatures. There is an appeal for the tiny sometimes, just as there is for the massive. In this respect the device becomes a reflection of the person’s personality, as well as the depth of their pockets, the availability of others services, from a signal to 3G (or not), even to the power to charge batteries. Personal choice, celebration of variety, offering a smorgasbord rather than the continental breakfast. ‘That well-known random-access device consisting of ink on bound sheets of paper may still have plenty of life in it yet!’ (Pettit and Kukulska-Hulme, 2007, p.28) expressed in 2007 is how in 2011 writers in the e-magazine Reconstruction 6.4 describe the ‘long-tail’ of the blog, that definitions have become meaningless, suggesting that the varieties of ways to do or have what we have continued to call a ‘blog’ is as varied as the ways we have over many centuries come to use paper. Drawing on a paper written in 2007 on research presumably undertaken a couple of years previously, it strikes me that ‘the world has moved on’, to say the least – though not enough. This exercise is looking at the extraordinary capabilities and uses for a device that in 2011 can offer somewhat more than was possible four years ago. This doesn’t mean to say we have the things. From my own perspective I came into the MAODE (this time round) with an eight year old iBook that had trouble with some software, things as simple as PDFs and the latest versions of Flash as I was unable to upgrade the operating system. Working from a smallish screen I found myself printing off too. For the second module I had access to a better laptop and plugged it into a good-sized screen that allowed me to see a page of A4 at a time or to swivel the screen and have two windows open side by side. During the course of my third module (this one) I found myself without a particular device, but with access to a desktop, a laptop, even an iPad (and have used a Kindle to read some 16 books). Here I found myself putting everything online, into a blog and e-portfolio so I could access whatever I wanted wherever I was (or whichever device was available), as well as having the cataloguing, aggregating, sharing affordances that this has given. 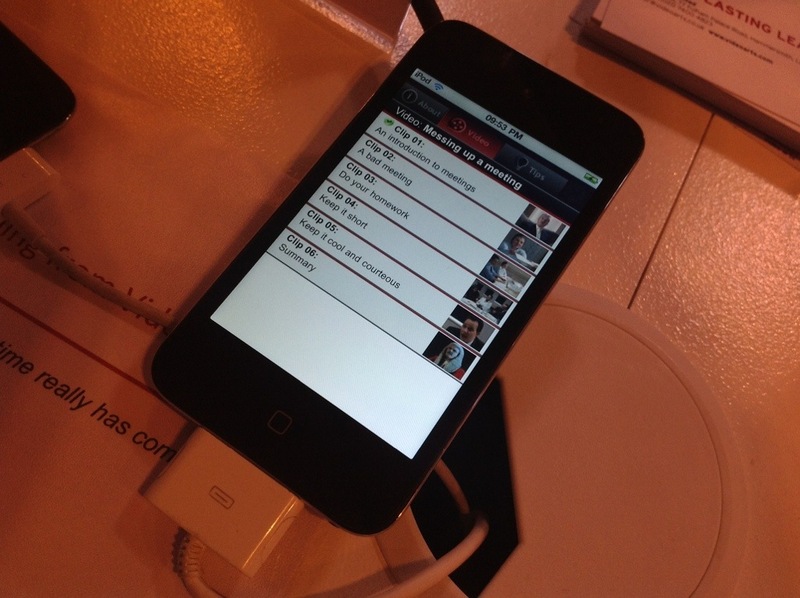 Any device, however mobile, and whatever size, can tap into this content. The problem now, isn’t simply, for me at least, is the overwhelming volume of content I have put online, which despite adopting various approaches to keep track of it, has split into a number of blogs (OU, Blogger, WordPress, and Tumblr), a number of cloud galleries/warehouses in the sky (Flick, Dropbox, Kodak and Picasa Galleries, My Stuff, Pebblepad). It is apt that I blog under the name ‘my mind bursts’, because it has, and is. Like having a thought, or recalling some event or fact seemingly on a whim, I find I stumble across these ‘mind bursts’ quite by accident, forgetting the number of blogs, for example, that I for a period started only to abandon so that ‘serendipity’ has a role to play through the myriad of links I’ve also made. None of this has helped by finding myself with three Facebook accounts and unsure how to delete the ‘right’ one. The attitude can only be to ride this like the web surfer of a decade ago – to run with it, rather than try and control it. You meet friends coming off a training a Liverpool Station, you do not need to know who else is on the concourse, the timetables for every train that day, week or year. To cope with the overwhelming quantity of stuff tools to filter out what matters to you at that moment is coming to matter most. Currently I find myself repeatedly drawn to the activities of Hugo Dixon, a former Economist and FT journalist, who set up a business he called ‘Breaking Views’ to counter what he already by then perceived as a deluge of online information and the old print-based expression ‘Breaking News’; we would come to need as some pundits predicted fifteen years ago, ‘information managers’ or ‘information management systems’. I wish I could reference the expression properly but ‘Freedom is lack of choice’ is one of my favourites; sometimes filters and parameters have their place. I enjoy using a Kindle as much for its limitations; it is something I can take to bed knowing that it’ll send me to sleep, while an iPad keeps me up all night. Wagner’s (1994) “reciprocal events that require at least two objects and two actions. Interactions occur when these objects and events mutually influence one another” (p. 8). A comment left on a blog is therefore a reciprocal interaction, like an asynchronous discussion in a forum, as there are two people (subjects) with in respective cases two objects (the blog and the comment) and two actions (the writing of the blog, the composition of a response in the form of a comment). This does not, as Anderson suggests, negate Daniel and Marquis’s (1998) definition of interaction needing to refer “in a restrictive manner to cover only those activities where the student is in two-way contact with another person (or persons)” (Daniel and Marquis, 1988, p. 339). In 1989 they could not have known how texting would develop into meaningful interaction between two or more people, or the way in which asynchronous discussion could occur online. Sims (1999) argues that interactivity allows for learner control, adaptation of the learner program, various forms of participation and communication, and as aiding the development of meaningful learning. Lipman (1991) and Wenger (2001) say that interactivity is fundamental to the creation of the learning communities. Jonassen (1991) says that another person’s perspective is a key learning component in constructivist learning theories. Langer (1989) says that interaction develops mindfulness in learners. Dewey (1916) from inert information from another to your own understanding and interpretation in your head. Holmberg (1989) between tutor and student, whether postal or on the phone. Laurilard (1997) interaction between tutor, content and students. One, Anderson argues, is purposively designed to have a learning outcome. Though I do wonder, based on a recent Elluminate session in which we considered a formal and informal learning design for teaching The Green Cross Code if the informal miss has greater impact, the shock of the unexpected when you are nearly hit … Or as a driver or passenger you nearly hit (or even do hit) another? Anderson, 2003 suggested that due to the increasing computational power and storage capacity of computers (Moore’s Law), their increase in functionality when networked (Metcalfe’s Law), and related geometric increases in a host of technical developments (Kurzweil, 1999) created opportunity to transform student-teacher and student-student interaction into enhanced forms of student-content interaction. In a way the interaction with the content of various kinds in mixed ways that goes on in the head Dewey (1916) has been the goal of the developers of interactive learning all along, in the training context this has occurred as facilitator-led learning was gradually transcended by workbooks in the 1980s, video-led and interactive (on laser-disc then Interactive DVD before) in the 1990s before efforts occurred to migrate content and interactivity to the web from the 1990s. The multiple interplay of Anderson and Garrison’s (1998) Fig. 1 rings true, though how content without a student or teacher interloper baffles me and in 2011 teacher in the broadest sense should take in all educators and ancillary stakeholders. There is no single medium that supports the educational experience in a manner that is superior in all ways to that supported via other media. Clark’s (1994), Kozma’s (1994) Russell (2000) and many others show that there is ’a complicated interaction between content, student preference and need, institutional capacity and preference, and teaching and learning approaches to learning’. There is also evidence that many students deliberately choose learning programs that allow them to minimize the amount of student-teacher and student-student interaction required (May, 2003; Kramarae, 2003). The other two may be offered at minimal levels, or even eliminated, without degrading the educational experience. High levels of more than one of these three modes will likely provide a more satisfying educational experience. This theorem implies that an instructional designer can substitute one type of interaction for one of the others (at the same level) with little loss in educational effectiveness – thus the label of an equivalency theory. Student-teacher interaction currently has the highest perceived value amongst students, and thus commands highest scores. There is some evidence to suggest value in “vicarious interaction,” in which non-active participants gain from observing and empathizing with active participants (Sutton, 2001; Fulford and Zhang, 1993). For planning or development purposes, designers are encouraged to build into their programs strategic amounts of each type of interaction, and to develop activities that will encourage this amount of interaction. This interests me because I wonder if we could take the call-centre principal and apply it to social media, a collective engagement of substance. At Athabasca University, Anderson writes, students had access (7 days a week, 12 hours a day) to call centre staff. They were equipped with FAQ databases, course syllabi, and a limited amount of content knowledge to answer a wide variety of student inquiries. Would this help with retention? It would contribute to engagement. It did contribute to deeper learning. Are we now saying that this interaction must come from fellow students? Or alumni groups in social networks? I know that in the corporate sector Epic offer clients a ‘call-centre’ like service as they have realised that online interactive learning naturally throws up situations where students want to talk to an informed and sympathetic person. No one wants to be passed from pillow to post. I say this as an informed online learner who has not just had to sleep on a problem, but the nature of responses either send you to sleep or leave you wanting to bang your head against a post. I loathe this kind of academic language. This is where academics address each other, a PhD student to their sponsor perhaps. It puts students and the inquisitive mind at arm’s length. This will change in the Web 2.0 world as this content gets an airing well-beyond its original place in a printed journal and with a few tags and comments gets spread rapidly across thousands rather than a handful of readers. The choice of words then this massive compound-noun says to me this person is trying to sound clever, elitist and worthy of the academic status they aspire to. It is poor communication. Even the chunk of referencing sticks in the gullet. We should in theory reference every word we utter, as none are our own, all could be tagged back to someone, somewhere. By quoting Wilson here Anderson reveals his motives. Sometimes academics what to coin a phrase or word: e-tivity (Salmon, 2002), sometimes a phrase: digital natives (Prensky, 2001, 2003, but read Jones to put this terms where they belong), sometimes a theorem, this one being ‘The Equivalency Theorem’. Wilson (1997), Anderson tells us, described three functions that a good educational theory performs. I’ll let you read the conclusion in the paper for these. My interest is not in developing a theorem, my quest is for understanding that I may then apply. An important paper, dense, chronological, logical, a great intellect chew. ‘I am convinced that many of these alternatives should be focused on creating the most cost effective and accessible alternatives that can scale to meet the burgeoning global demand for effective and affordable life-long learning opportunities. In most cases, these models will drastically reduce the amount of teacher-student interaction, and substitute it with increased student-student and student-content interaction. For many, this scenario is a frightening one, but one that is in keeping with our tradition of expanding educational access and opportunity, and thus not one we should abhor’. Eight years on I feel like sounding him out. Was he prescient? Where is he now? The fact Anderson has missed is the greater desire for increased personalisation, learning tailor to the individual and increased interaction through social networks, with the knowledgeable as well as the ignorant (whether or not they are the person’s tutor or faculty academics). Actually, the group I find silent are the tutors and academics. They are too busy with their heads in their professional thoughts unable to offer up a piece of their minds without attaching a price or allocated time to it. Is this the difference between a professional musician and a busker? Fulford, C. P., and Zhang, S. (1993). Perceptions of Interaction: The critical predictor in distance education. American Journal of Distance Education, 7(3), 8– 21. Salmon, G. (2002) E-tivities: The Key to Active Online Learning, London, RoutledgeFalmer. I would like to be studying an applied MAODE. This should be a joint collaboration between the Institute of Educational Technology and the Open University Business and Law School. applied is the operative word. Not a Masters in Open and Distance Education, but an aMAODE. I may pick this up next and become a e-learning verions of David McAndless. 24 months ago several friends signed up to an e-learning course with Sussex University. They are now constructing e-learning, I am not. The difference, dare I suggest, is did I want to be a mechanic, or the engineer? Can The OU be less precious and offer more of both? It is all ‘of this world’. It is only learning, not e-learning, but o-learning. P.S. It ain’t rocket science. As Martin Weller shows in his VLE book. What we as potential practioners of online learnning is a dip in the training pool. As a Swimming Coach, and former competitive swimmer, what strikes me is that I am yet to stick my toes in the water. Frankly, my concern, is that if I come up with another commercial e-learning project for an ECA it will like the other one be rubbished because the markers are looking for an academic paper, not a viable e-learning project. This is where the tectonic plates of theory and practice meet. Is anyone on the MAODE doing it to become an academic? I developed a craving a year ago to read a book from cover to cover, rather than reading papers or bits of papers. Initially I got the book in the post, then to a Kindle. And now on an iPad and iPhone too. 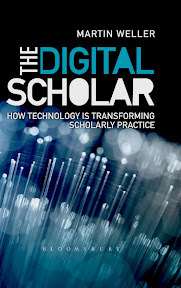 So the last three days I’ve read Martin Weller’s new book ‘The Digital Scholar.’ Read on, or read to me on the Kindle while I took notes on the iPad. Notes run to several pages, all rather cryptic at the moment. Diffusion of Innovations. (5th Ed 2005) Rogers. ‘This is a period of transition for scholarship, as significant as any other in its history, from the founding of universities to the establishment of peer review and the scientific method. It is also a period that holds tension and even some paradoxes: it is both business as usual and yet a time for considerable change; individual scholars are being highly innovative and yet the overall picture is one of reluctance; technology is creating new opportunities while simultaneously generating new concerns and problems’. pursue your interests within a specified framework. Choose two digital technologies that you have used this year as a learner. If you have doubts about whether your choice of technologies is appropriate, please consult your tutor. For each technology that you choose, explain how it has been used for teaching and learning, and what you judge to be the strengths and weaknesses of such use(s) in one or more contexts that you specify. Your own experience of the technology within and/or outside H800 and, if possible, the personal experience of other learners – for example, H800 students, or others outside H800. Include examples and, where appropriate, brief quotations to illustrate your own and others’ experiences. Relevant ideas, arguments and research findings in the H800 materials – the web pages on the website and/or materials (readings, blogs, YouTube, webcasts and so on) linked from the site. Relevant ideas, arguments and research that you find outside the H800 website – through your own searching and/or through sharing with other learners inside and/or outside H800. Brief numerical evidence – for example, of the kind that is explored in the first paper in TMA04 – from within or from outside H800. Use it to back up your arguments about one or both of your technologies. FORUMS online may be synchronous or asynchronous, that is experienced in real time or not. They may, particularly when synchronous, be voice-led whilst asynchronicity lends itself to text. Increased speeds, experience, improving, competing and complementary technologies has produced and is producing a plethora of choices regarding the affordances and popularity of particular forums and even puts into question the way a virtual learning environment competes and complements a personal learning environment. MOBILE online learning differentiates between static systems such as a desktop computers, whether at home, the workplace or educational institution, and devices, through increasing miniturisation have become more and more portable, from laptops, to increasingly ‘smart’ mobile phones and most recently tablets, touchscreen computers of A5 size or less. To be mobile implies away from a desk, unhindered by cables, with a device that is portable, even pocket portable rather than in a brief-case or shoulder carrier. FORUMS online became possible as the technology, connections and broadening availability and use of computers allowed institutions to attempt to recreate what would occur face-to-face in terms of formal tutorials or peer-group gatherings. There has always been a dichotomy between institutional offerings and what students did themselves, on the one hand building on old practices in the new world of what was still called ‘new media’ a decade ago whilst developing innovative and new ways of doing things. At the forefront of developing computer-based learning the OU through the Institute of Educational Technology and Knowledge Media Institute began to offer ways for students and educators to meet and share online in the late 1990s, signed up for H801, the original Masters in Open and Distance Learning, I have first hand experience of the ListServe forum that in essence aggregated short messages in a feed that was ostensibly asynchronous unless people happened to be online at the same time (in which case we’d debunk to Microsoft messaging). A decade later the advance of computing, the increasingly seamless interaction online, the development of intuitive, playful, reliable tools with broadband speeds and robust devices has seen increasing successful recreation of the affordances of live, face-to-face tutorials, seminars, lectures and conferences from the intimate to the arena in scale, while also new ways of doing things are constantly being developed, trialed, used, improved, drop in or out of favour and funding. Crucially, longitutdinal research has been vital to understand and track the trends, but also we have moved from a decade in the 1990s where ‘change’ was becoming a corporate way of life, to an online experience today that is fluid and not just invasive but part of many people’s everyday lives – all day, wherever they maybe. The idea of and value of ‘exposure’ has been debated since the early days of blogging. I could call up entries from 2001/2002. The feeling, amongst those of us who felt like blogging pioneers, was that by opening up we shared our common humanity and in many respects become less lonely souls as a result (not that I didn’t need additional companionship being happily married to my soul mate with two small children at the time!). This kind of blog is a genre in its own right amongst the thousands of genres on 120 million + blogs. For me, this is a key point relating to learner choices, ownership and boundaries. Should a learner be required to ‘open up’ their personal networks to include tutors/education institutions? ‘Consider this medium as like talking with your fingers – half-way between spoken conversation and written discourse.’ (Hawkridge, Morgan and Jeffs, 1997, quotes in Salmon 2005) REFERENCE Salmon, G (2005) E-moderating. The Key to teaching and learning online. Someone may need to act as the ‘eyes & ears’ for the group until it is established. Introductions have to be made, conversations started and moved along … if anyone is rude, they should be quietly put in their place; if anyone is being like a door-mouse, they need support. (Blog 19 January 2011) My interpreation, visualised, of what life-long means from H807. (Blog 9 September 2010) A tutorial works best one-to-one (like therapy), face-to-face, or in a small group, say six at most, discussing in an synchronous environment. The increasingly portable nature of computing hardware and technologies has progressed for three decades or more as the earliest efforts of mobile wordprocessing – the Microwriter, the popularisation of computing with the BBC micro-computer, then on to laptops that become ligher, smaller, faster and more robust, to palm devices such as the Psion and hand-sized PDAs, and the gradual merging of all manner of peronsonal, portable devices that carried music, organisers, phone technology and more, with MP3 players popularised by ipods, then the spread of mobile phones, in particular inexpensive communicating through text that brings us to 2011 and light, very powerful two-part keyboard and screen laptops, single part touch-screen tablets of various sizes that are becoming indistinguisable from smartphones. Uptake and support for various devices has been made possible as networks spread, the technology became faster, less expensive and widespread, and importantly a combination of content and communication made the devices increasingy appealing, powerful and personal. 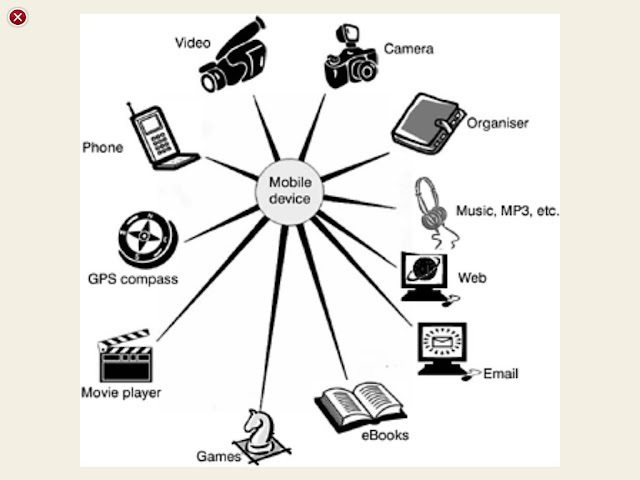 REF: Kukulska-Hulme, A. and Traxler, J (2005) Mobile Learning. A handbook for educators and trainers. REF: MacMahon, M., Pospisil, R. (2005 pp421-431) Laptops for digital lifestyle: Millenial students and wireless mobile technologies. Attendance at Learning Technologies 2011 and subsequent use of a Sony Flip for itnerviews and surverys. From The Swimming Drill Book (2006:06) ‘Streamline Float’ Ruben Guzman. ‘Patterns of usage differ widely, and the fit between people’s lives and the devices they use can be very close.’ (Pettit and Kukulska-Hulme, 2007, p.28) REFERENCE Pettit, John and Kukulska-Hulme, Agnes (2007). Going with the grain: mobile devices in practice. Australasian Journal of Educational Technology, 23(1), pp. 17–33. REFERENCE LEARNING AND TEACHING GUIDES FROM IET. MOBILE LEARNING. Agnes Kukulska-Hulme, with case studies by Anna Page. For each of the two technologies you have chosen, set out your key recommendations for other practitioners in terms of how they might use each one, making sure that you specify the context(s) you are referring to. Include some brief numerical evidence (as with Part A) to support one or more of your recommendations in Part B. For each recommendation, indicate how confident you can be (‘high’, ‘medium’ or ‘low’) in the light of the evidence you have used in Part A, explaining your reasons. Conflicting evidence, for example, is likely to lead to a ‘low’ or ‘medium’ rating. For each technology, state the areas where you consider additional research is needed into the ways in which that technology can be used. Design a learning activity, or create a specification for a module or training package, that uses this technology. Explain: the characteristics of the learners; their previous knowledge (as far as you can tell) both of the technology and of any subject matter; the context(s) in which they will be learning; and how (if at all) others will support these learners. The context does not have to be the one(s) you wrote about in Parts A or B. Explain any potential barriers your learners may face – including cost, accessibility for students with disabilities, issues of cultural diversity and convenience. Explain how your design or specification takes these into account. Explain your reasons for your design or specification, drawing on the bullet points above and on your thinking in Parts A and B. Do not submit the learning material itself; instead, tell your reader what the activity consists of: you may provide a written description, sample text, screenshots, etc. You may use one of the tools introduced in Weeks 8 and 9, or another tool of your choice, to clarify your design. (If you take this route, you may insert the diagram in your main text or – cross-referenced – in the Appendix.) But you can also use text, provided that this will enable the markers to understand what you intend. The objective of the study is to investigate the efficacy and acceptability of a novel online educational methodology termed ‘interactive spaced education’ (ISE) as a method to teach the physical examination. 170 second year medical students. 6 spaced-education e-mails each week for a 6 week cycle. An online end-of program survey was administered. Students do the training, but may still have poor recall a year later. Spacing works. Micro-learning is favoured over more substantial time being given to this. I can imagine many applications. And a finaly word from Lev Vygotsky. To what extent do you find the concepts of ‘individual’ and ‘collaborative’ learning useful in understanding your experience of learning this year – whether on H800 or elsewhere? Give brief examples to illustrate your experience, and draw on some of the debates and theories in H800 to explain your position (for example, the work of Sfard, Brown, Engeström, Wenger, Säljö). If possible, indicate how your ideas have changed since you wrote TMA01. Which two technologies do you currently expect to choose, and why? Forums as asynchronous and near-synchronous places to listen, comment and contribute have become the online equivalent of the one-to-one, face-to-face tutorial, the face-to-face tutor group, small class, even those moments of serendipity when you meet someone in a corridor, Junior Common Room or by the water-cooler. Mobility is just one facet of the affordances a tablet offers to the learner; the fascination is to understand how the devices are used, rather than what they were designed to do. From research, blogs and forums the experience of the ‘tablet enabled’ learner suggests that unlike almost defunct hand and palm-held devices, this format will endure. 2. Which of the two technologies (if any) have you used on H800, and which (if any) have you used outside H800? Since their development and my being active online since 1999 and starting the MAODL in 2001. Through their proposed exploitation with the new OU MBA and so having a tablet for the last month to explores its educational and other values to learners and the Faculty. 3. Briefly: how has each of these two technologies been used for teaching and learning? My experience is both as an OU student, primarily for the last 18 months, but including a valuable dip into this environment for seven months in 2001 and now as a member of staff with the OU Faculty of Business and Law. Regarding the use of tablets for learning, not only using one to do the MAODE it also holds OU MBA course content and incidentally it greatly facilitates the engagement in forums through RSS feeds, email alerts, near instant uploading to forums and the qualities of the tablets themselves in relation to screen size, speed reading, ease of response and so on. 4. For which context(s) will you be discussing the strengths and weaknesses of each technology? The value to postgraduates working in international organisations on the OU Business School part-time MBA. 5. Briefly: what material will you provide in relation to your own experience of each technology? Regarding Forums I have both the written record (research, papers, blog entries from 2001) to compare to 2011, as well as the experience of working in both the formal institutional setting, and as a student, embracing and engaging in external forums – all for teaching and learning purposes and blogging about this throughout. 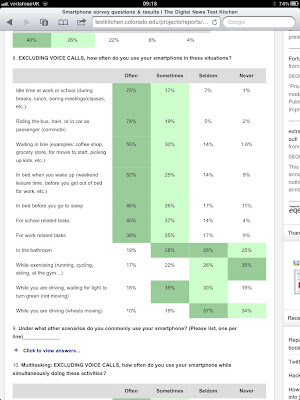 Regarding tablets I have one device and can speak to others using different devices about their experiences with them. Some of this qualified by my blog and forum entries of others regarding their learning experiences with them. 6. Briefly: what material, if any, can you draw from the experience of other learners? There are fellow students on the MAODE whose permission can be requested regarding their blogging on the use of tablets, indeed these postings informed my request to have such a device. There is research published in 2011 that provides a sound basis for discussion, though the rapidity of change requires something current this can in part be informed, with permissions, by asking specialists in the field of versioning content for Tablets for e-learning in Higher Education. Where permissions are possible and confidentially isn’t compromised questions can be put to Faculty members regarding the way in which the use of forums for learning online has been conceived. 7. Which H800 materials do you expect to draw on? And which numerical evidence will you draw on, either from within or from outside H800? Reports can be referred to as they are published. The desire is to draw upon evidential research, both qualitative and quantitative reports, particularly those from the OU Institute of Technology. Resources offered in H800 will be reviewed and the most recent publications identified. 8. If you have already found materials from four sources outside H800: which materials do you expect to draw on, and – in a sentence or two – what is their significance to your EMA? If you have not yet found (all of) them yet, where do you expect to look for them? Linkedin Forums on e-learning and social media. Various publications on use of Forums in education including reports from JISC. Research of OU Library current papers. Reports and discussions in various forums, such as NMK (Westminster Metropolitan University) and eLP (Linkedin, moderated by Epic), as well as new publications. 9. Briefly: which area(s) of additional research do you think are needed? The interplay between the Tablet (part Smartphone, part Laptop) and therefore the ease with which it can be used as a communications device enabling live and as-live (synchronous and asynchronous) participation in Forum discussions. Longitudinal studies of a cohort with these devices coming from undergraduate and postgraduate study. Niche research on the use of forums and devices in business, particularly collaboration in multi-nationals. 10. What type of learning activity or specification do you currently envisage, for which learners and in which context? What do you intend the learners to have learned when they have carried out the activity? A useful resource would be a specific learning activity related to the management of projects carried out across different cultures with differing management systems. 11. How, in outline, will your design or specification deal with any potential barriers that your learners might face (including cost, accessibility for people with disabilities, cultural diversity and convenience)? ‘Device Agnosticism’ as The OU puts it is as important as other issues regarding access; neither affordability nor disability should be insurmountable barriers. What’s the Web 2.0 role of the educator ? Read Haythornthwaite (2008), ‘Ubiquitous Transformations’: Proceedings of the Networked Learning Conference, Halkidiki, 2008. QQ1 What evidence is there of this shift towards taking responsibility for learning by the learners themselves? There will be those who come to learning online who are used to being in control online, so they won’t feel like a pupil entering a classroom, a student in a lecture hall or tutorial, a stranger in a strange land. Rather they will feel it is their domain, at best a shared domain, more like a visit to the leisure centre than to an elitist institution where those in it have progressed as a result of proving their elite status. It still matters for credibility of the qualification, evidence that you’ve done the work, evidence that you’ve picked the brains of and had your brain picked over by subject matter experts of a reputable established. It matters for the sake of guidance, perhaps the metaphor of railway tracks less appropriate given the freedoms afforded by the mobile internet, but even a kite-surfer has had to take instruction, purchase the right kit, maintain it, then seek and take advice from those wiser and more experienced. I like the idea of the Learner Leader and picking up on the thinking of Cox on ‘participator learning’ and from John Seely-Brown learning ‘learning from the periphery’. Where appropriate, participants come to shared definition of meanings through collaborative, conversational interaction. ·model what others have described as the learning behaviour of experts (Bransford, Brown & Cocking, 1999; Scardamalia & Bereiter, 1996). QQ2 Is Haythornthwaite’s account an idealised version of learner behaviour in your view? The reality is that we human beings have far more important, pressing and natural urges and desires that incline us towards those around us, and from communities with whom we find we have the greatest affinities. As young adults our intentions and outlooks may shift, but this would occur anyway, the internet offering, to use as 60s view of television, a ‘window on the world’. This statement denies that learning takes place outside the classroom or away from formal texts. It has always been the case that substantially more learning goes on in the home, at play, from family and friends. All we’ve discovered, like the devices that many of us now carry around, is that we are always turned on. ‘E-learning’ signifies a transformation in learning rather than a transition from off- to on-line (Andrews & Haythornthwaite, 2007). As Haythornthwaite indicates here, the technologies are not exclusive. And as Wellman (2002) suggests the contexts in which transformation occurs are diverse, with each one having a different stance. Transformations that do not fit easily with utopian visions accompany distributed practices, including outsourcing, offshoring, disintermediation, and networked individualism (Wellman, 2001), each of which entails a general redistribution of processes and responsibilities to individuals. The Pew Internet project (Horrigan, 2006) reports that 71% of the adult population surveyed turn to the Internet for science information because of its convenience, and only 13% because they feel it is more accurate. Where’re not talking about the adult population, we’re talking about specific cohorts of students who could just as well be in primary, secondary, tertiary or postgraduate education. Whilst in the adult population who go online 1% actively blog, in the undergraduate student population this rises to 34%. The dominance of Google is waning; increasingly people using mobile devices (smartphones or tablets) use Apps to aggregate content. The choices are becoming more personalised and informed. QQ3 In the light of your own responses and experience, does this ‘new paradigm’ indicate the redundancy of the practitioner? Or, on the contrary, does it indicate the need for a practitioner with in-depth knowledge of how new technologies can be harnessed and with the time to provide facilitation and support to students as they take on these new responsibilities? Making the time to interact with students online (and off) and having this planned into the curriculum is important. More tutors are needed, not fewer as expectations rise about the degree of engagement with others. Tutors or teaching assistant, event students (not just PhD), ought to be paid to be online as a hollow forum, or tutor group that isn’t active delivers the poorer experience. My analogy is to think of it as opening a chain or restaurants; why do some work and other’s fail? The ingredients and the menu is the same, but the context (location and personalities) differ. Getting the mix right and having the flexibility and fluidity and will to alter things as it evolves is vital, but often lacking. Certainly the idea that students would pay a handsome fee and then self-educate has largely been dispelled. The shift is livelier and less formal, more akin to a summer school, or camp, with everyone potentially present. There are academics, particularly in higher education, who seem to lack any desire to teach, preferring to inform at arm’s length from the product of their research. Perhaps it is more than this, it is like meeting in Liverpool Street Station amidst the cacophony of everyone else’s online lives, then taking a group to a museum then a show while the individuals in the group try to work, try to enjoy a holiday, have their kids, dog and mother along for the trip, and are engrossed in a novel, game or TV show. The potential is to be distracted, or engaged, or to juggle between the two. The answer is in the hubbub of the tutorial, or seminar, the forced taking of sides in a debate, or informed discussions in a forum. The arguments and scholarship is still there, it is simply lose of the shackles of print and that technologies 500 year dominance of education, which is fast ending. Haythornthwaite suggests something has changed; it has, we’re returning to a model that is pre-print, vibrant, engaged, and live and that plays to broader human attributes and skills. As Haythornthwaite (2008:599) goes on to say, ‘New social skills, or perhaps older ones now transformed online, become essential for a workable online future’. Such knowledge bases resemble more the already familiar communities of practice (Wenger, 1988) and educational disciplines that an open encyclopaedia. Horrigan, J. B. (2006). The Internet as a resource for news and information about science. Pew Internet and American Life Project. Retrieved July 5, 2007 from: http://www.pewinternet.org/pdfs/PIP_Exploratorium_Science.pdf. Levy, S. (Oct. 4, 2004). Memo to bloggers: Heal thyselves. Newsweek. Retrieved May 17, 2007 from http://www.msnbc.msn.com/id/6098633/site/newsweek. Wellman, B. (2001). The rise of networked individualism, In. L. Keeble (Ed. ), Community Networks Online (pp. 17-42). London: Taylor & Francis.